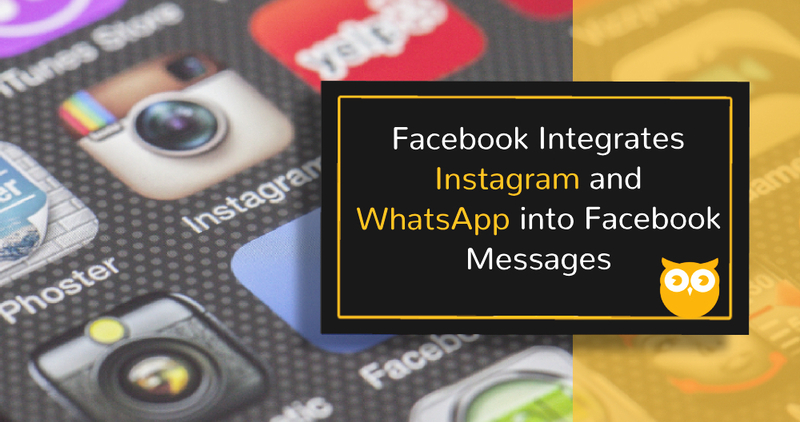 Facebook tells us that they will be working on integrating Instagram Direct Messages and WhatsApp with Messenger. Facebook announced on February 7, 2019, that Facebook page owners will soon be able to receive and respond to their Instagram direct messages through their Facebook Page inbox. The goal of the update is to improve user experience by making messages more manageable. Facebook CEO, Mark Zuckerberg, states that the integration will help page owners to manage conversations easier. The unified messaging system will allow page owners to receive and respond to messages across all platforms using only one app. While page owners can respond through Facebook, customers will receive the page owner’s response in the same platform they used to send their message. Page owners will be able to manage Instagram Direct messages from Facebook Page Inbox on both desktop and mobile. In addition to that, Facebook pages will also be able to participate in Facebook Groups and join community discussions in a way that would represent their brand or organisation. Businesses in Brazil and the US will be the first countries to experience the integrated version of Facebook. The company plans to accomplish the integration process by the end of 2019 or early 2020. With more businesses engaging with various Social Media Platforms, Instagram is certainly on the peak of its popularity. The integration of Facebook allowing users to respond to their Instagram messages is highly beneficial not only to page owners but to other Social Media Marketers like me. This new update from Facebook allows businesses to stay connected with people and to establish communities with their audiences in a more efficient way. In the digital world, updates and trends are almost erratic. We should always utilise these features that help us improve the efficiency of our work – to train ourselves to become more effective digital marketers. © Shore Marketing, Inc. All Rights Reserved. Find out your website’s score now! Click here for our FREE website grader.